Keeping the floor clean is a must in today’s fast pacing life as if the home floors or even the office floors are not lean it spreads the dust and bacteria all around resulting in people to be sick. So now you have to careful research and buy or get the best type of floor mop. in another hand, you can protect your floor by placing beautiful handmade wool or handmade silk rug according to the traffic in your room. 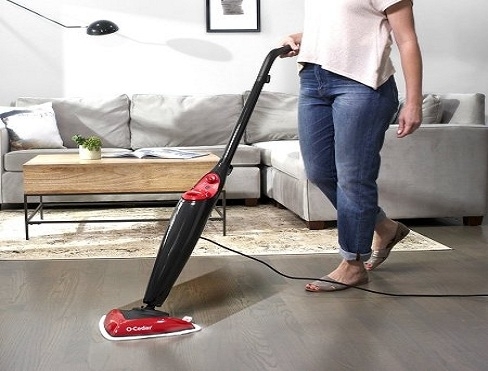 With the new age technology, the new steam mops are known to be the safest and the best lops for cleaning the floors. Buying a good steam mop is not so hard but one has to know the best and exact one for the best result. So a little bit of research would help you in getting the exact steam mop you would need to clean your floor. In the market, there are various different brands of mops available so be very sure before selecting the one for your home. Well in the market there are various different steam mop which are from very good companies and have many new features but you have to do a bit of research and understand according to the need of the floor. One function would not suffice so a mop should be fully multifunctional so that one mop can clean and do other stuff making it easy for you to maintain the floor. Choose a mop that could help you do individual tasks but with one item, first general cleaning the floor then steam cleaning, the only difference would be that you would not need two separate mops, only one with multitasking facility. Well, sometimes we tend to deviate from the simple yet essential features while buying something. So one such feature is to have an extension cord which would enable the mop to reach places in the corners of the room too. This would make it convenient for you to clean without changing the direction of the mop each time you choose a side of the room. All floors or rather the stains are not the same, so accordingly you have to have a mop which would have the adjustable steam controller so that you can use it to clean the correct way. Do a bit study on the steam mop you are buying and see to understand the controls of the steam, as that would make the cleaning hassle free and with appropriate stain removing. Few of the areas on the floor need different types of cleaning so there you would need a cleaner which can be flexible to adjust and also be easily folded. So better would be to choose a flexible one. 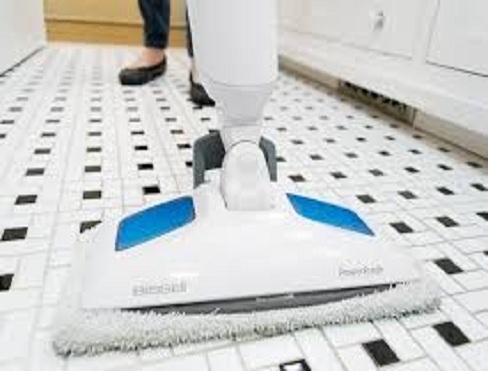 Choose the one with extra cleaning facility with additional cloth moping floors as these really help in getting the unusual floors also get cleaned easily. Research is the mother of all buying, so before you go to choose the best and perfect steam mop for your home floor or office, do a thorough research on the different mops and the features as that way it would be easier for you to get the correct one with all multiple features and also which would suffice your budget. As choosing the correct one without research can be very risky. As then you would be quite vulnerable to get the wrong steam mop and also wasting of the money. So do intensive researches before you hit the market. So now with these essential and niche tips, you would be easily satisfied to get the best and hassle-free steam mop for cleaning your floor. So do keep all the points in mind so that you can go for the best one and also it should be a good investment as then you would enjoy the cleaning process without any regrets. So now with these tips, you are ready to hit the market and get the best and correct steam mop for yourself.